I have a million totes. Maybe just a few shy of that. 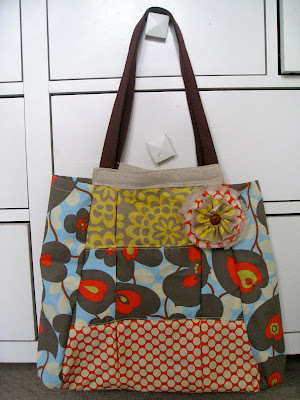 Because of this, and because I love you, I'm going to give away the tote that I made yesterday. I really like this tote, but really, I don't have any more empty hooks to hang all of my bags on. Plus, I want someone to enjoy this one ;) It will be great for this spring and summer! It's nice and roomy. 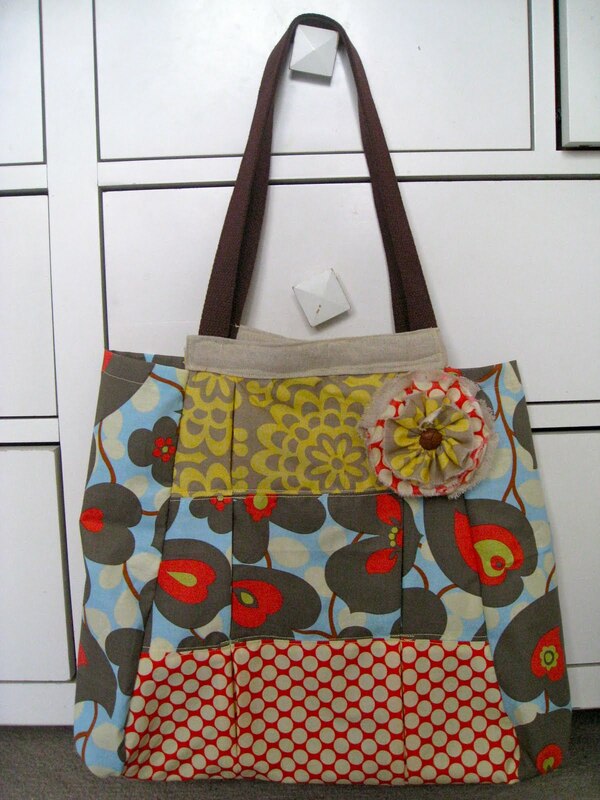 It's also an "original" design by Sweet Floweret! 1. If you don't already, LIKE Sweet Floweret on Facebook. 2. Share this post with friends on FB. 1, 2, & 3 done! Don't forget about the loads of followers you have in Honduras! Next, can you make some cute & functional wet bags for us cloth diapering peps out here? I have also done 1,2, and 3! That is such a cute bag!! 2 posts in one day! Hoot! Hoot! New follower! What a fun blog. and/or-----I WAS ALREADY FOLLOWER ON YOUR BEAUTIFUL BLOG!!! 4. Share this giveaway on your blog------DONE!! !